You do know people who pay someone to mow their lawn, change their oil, or file their taxes, right? And you do realize that, with minimal time and effort, most of these people could perform these tasks quite successfully on their own? Now consider this – these same people probably feel the same way about their computers as they do their lawns. Sure, they could learn how to upgrade their PC hardware, write a database, or install a wireless network, but they lack the time, interest, or patience to do those jobs on their own. Wait a minute – you’re an experienced computer user, right? You actually enjoy working on computers. So, if you have this specialized knowledge that’s valued by people who’d rather do little else with their computer than turn it on . . . and these same people already show a willingness to exchange money for time and convenience . . . what does that say about your chances of making a few bucks as a computer consultant? Whether you're an experienced or beginner computer consultant, or you're just intrigued by the possibilities of striking out on your own and want to know how to get started, we invite you to the next General Meeting of the Greater Cleveland PC Users Group, where consulting will be our focus. Our guest speaker will be Bob Coppedge, founder of Simplex-IT, a Microsoft Small Business Specialist consulting firm providing Managed Services to small to medium sized organizations in the northeast Ohio area. 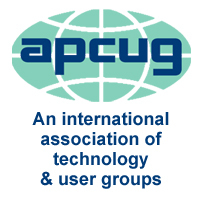 In addition to being a successful computer consultant for longer than he probably cares to remember, Bob has been a member and periodic leader of the GCPCUG for many years. He’s renowned in our group for his energetic and engaging presentations, his wealth of knowledge and experience in the IT industry – and his, shall we say, “unique” sense of humor. We’re not saying that everyone should be a consultant, nor are we saying you should start your own consulting firm. We’re just saying there’s no reason you (yes, you) shouldn’t give consulting a try.